'Sad' by the Immaculate fools was a complete flop in Europe, with the exception of Spain, where the British band had been able to get quite a following. I found out about this track because it appeared on a promotional cd-single together with a remix of Azucar Moreno's 'Bandido'. When I came across this single I bought it right away. 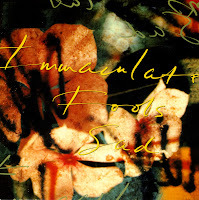 'Sad' was taken from the band's album of the same name, both released in 1990. 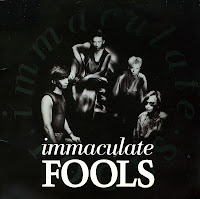 The Immaculate fools formed in 1984 in Kent, England by two sets of brothers: Kevin and Paul Weatherill and Andy and Peter Ross. Their self-titled debut single was released in January 1985 and reached number 51 in the UK singles chart. It would end up being their only chart success, as further singles failed to make any commercial impact in the UK. I got to know this single while briefly working for a radio station in 1985. I only got to buy the single many years later, in the same gatefold sleeve that I saw the first time around.